A great mustache is always a plus. 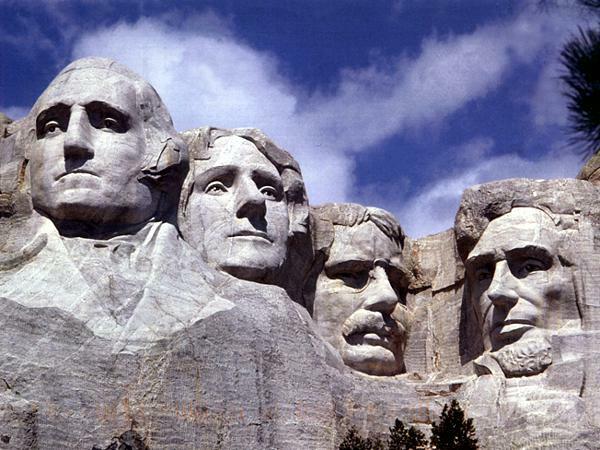 Gutzon de la Mothe Borglum was an American-born sculptor famous for carving the monumental presidents’ heads at Mt. Rushmore, as well as other famous monuments and historical sculptures. Unquestionably one of the greatest American sculptors ever – he was the first living American to have a sculpture purchased by the Metropolitan Museum of Art – he was also known for using dynamite on a lot of his finest pieces. The only thing bigger than his world-renowned talent and the size of his sculptures were the legends of his extremely difficult personality, and the grandiose and extreme political views he often fell prone to (including a brief stint in the KKK in the 1920’s). These have left him with a legacy as fractured as the sculptures he took dynamite to (including one of the faces on Mt. Rushmore 2 years after starting work on it). No funny names list would be complete without that mouthful. 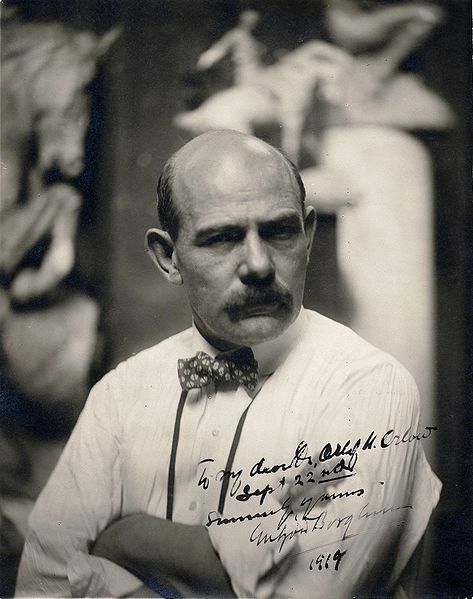 Gutzon Borglum holds a significant and fascinating place in American history. This entry was posted in Uncategorized and tagged artists, male, titles. Bookmark the permalink. I was looking up this name just now, because I remembered my Mom said that this name sounded like a f**t in the bathtub. But I didn’t know he was the carver of Mt. Rushmore, and I didn’t know BoFN already had this one in the bag.